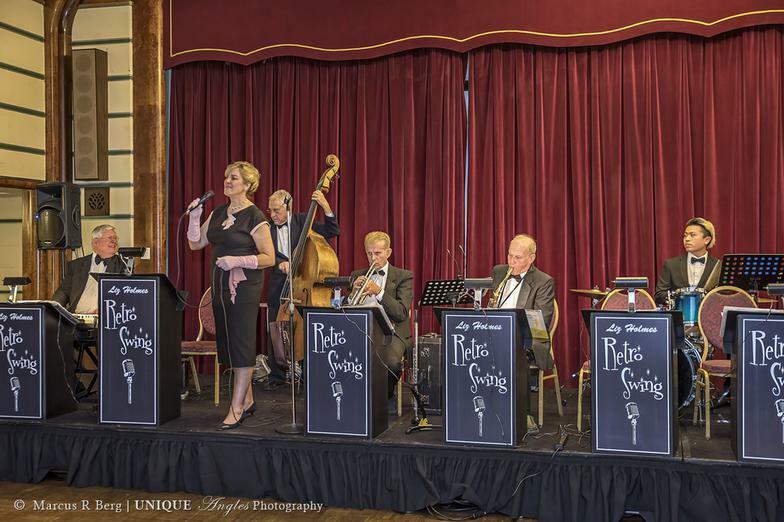 The Retro Swing Band plays all the great swing, standards, and jazz from the 1920s, 1930s, 1940s and 1950s, as well as more modern favorites. We also specialize in cocktail/dinner hour and ballroom dance music. 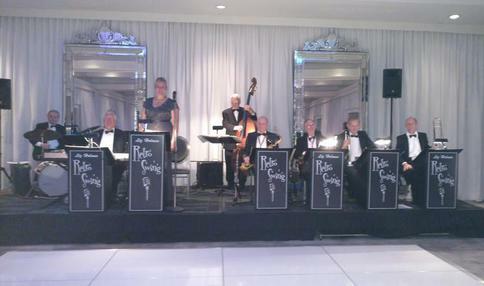 Choose the Retro Swing Combo for your cocktail hour, dinner hour, wedding, concert, anniversary, birthday, corporate or civic function, any event requiring quality music. Typical instrumentation is piano, bass, drums, saxophone, trumpet, singer and most requests can be played. We bring an outstanding sound system to accommodate virtually any size room and which you can also use for your announcements. Integrity, reliability and attention to detail are our hallmarks. Please see our excellent reviews/references.